The Vintner’s Board of the Red Door Vineyard Guild invites you to become a part of this unique and visionary ministry. 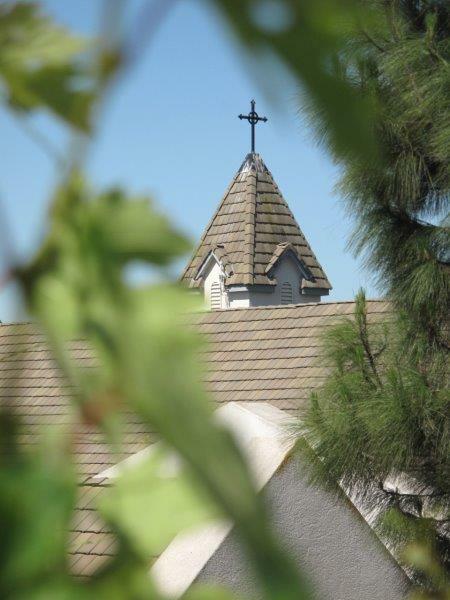 Planted in the spring of 2012, the Vineyard is located on the property situated above and behind the buildings on the Epiphany campus. It has become a unique symbol of our fellowship and our faith. The mission of the Red Door Vineyard (RDV) Guild is to support and cultivate our community through working the soil, tending vines, harvesting grapes, and crafting wine. Guild members are invited to work together to dig, tend, trim, weed, harvest, crush, and bottle, all the while deepening and exploring our connection with our inner selves, our church community, our neighbors, the earth, and the universal. All are invited to belong to the RDV Guild. Guild members are acknowledged and will enjoy the benefits of the Guild based on their level of giving. Beyond their gifts of treasure, Guild members will be encouraged to participate by joining together and laboring toward common goals. Vineyard workers will be recruited, cultivated and organized by representatives of the Vintner’s Board, and will be called upon as needed. Periodically recurring tasks may be handled by rotation or by specified teams. Certain work will be suitable for the whole family, including children, to work side by side on the hillside among the vines. Other important work will take place at a desk or computer, organizing Guild members and events. Still other tasks might include engaging the broader community in our endeavors. All RDV Guild members are encouraged to accept the open invitation to labor in the fields, at a desk, or in the community. indeed, all are welcome here.